Kerrick supplies and services a range of commercial and industrial vacuum cleaners to the New Zealand market. These include heavy duty products designed with various commercial applications in mind. 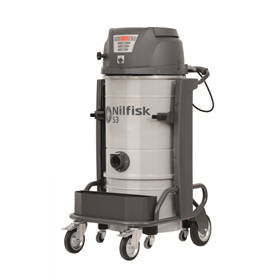 Our products range from dry vacuum cleaners for picking up dust and bulky items such as wood chips to wet/dry vacuum cleaners. Choosing the right vacuum cleaner for your needs can make the world of difference to your business in terms of prolonging product life, improved efficiency.